Feeling: Absolutely exhausted. I have spent the vast majority of this weekend asleep, desperately trying to catch up a bit, but that doesn’t really seem to be helping much. 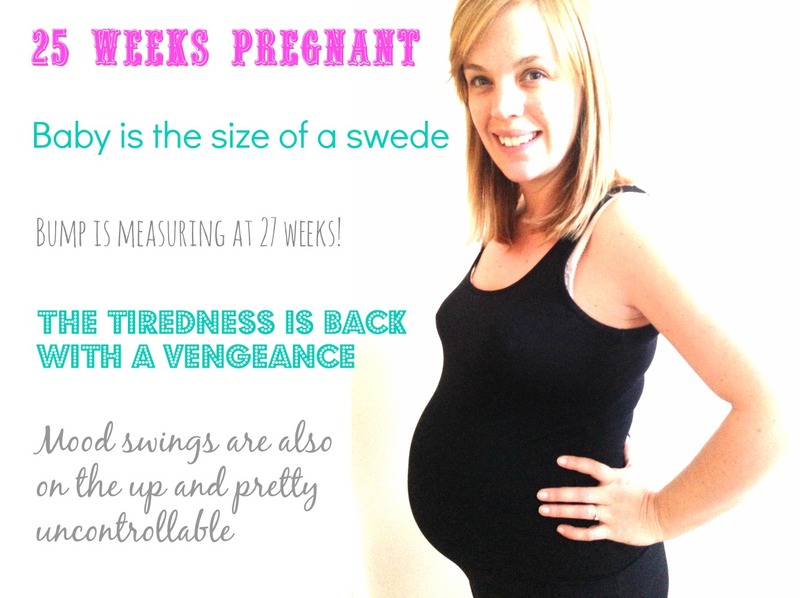 It’s that pregnancy tiredness that makes your bones ache and makes you feel sick. Hopefully we are just having a growth spurt and this will pass soon, as working is tricky when your eyes are rolling back in your head with tiredness. Other than that, my emotions seem to be all over the place at the moment. I swing from excited to happy, to angry to sad with little warning and no real reason. I think Mr M is having to bite his tongue rather a lot and has escaped out with friends for some support this weekend. He’s ever so good though and just smiles through it. I feel awful, but really don’t seem to have much control over it. As discovered at both of the scans, Little R-M is something of an awkward little thing and it kept up with its reputation at this appointment by refusing to keep still for us to listen to its heart. Midwife isn’t worried though, as its moving around so much, that it’s certainly alive in there! Looking: Bump is definitely growing now and seems to be coming all out the front and quite high up. Old wives tales would suggest that this means it’s a girl, but we’ll have to wait another 15 weeks or so to find out! Sleeping: Sleep is on and off, and has remained so for some weeks now, so I think that’s how things will continue. But why oh why can you always get comfy and drift off just when you need to be up and about? So frustrating.